We interrupt this crafty/home/life blog to whine about the weather. Toward the end of last week our spring was interrupted with winter again. 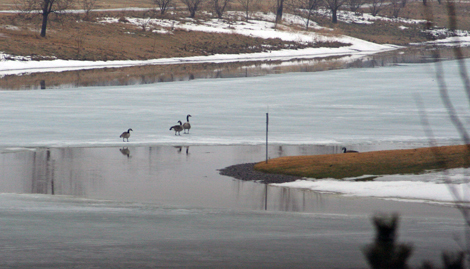 Just when the grass was beginning to appear and a few geese, yes geese, had found the melted spots on our lake, the snow returned. Sneaky weather. Such is to be expected in these parts where winter has such a hard time surrendering to the warm days that will inevitably return. 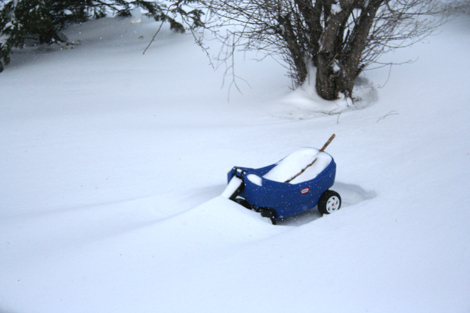 It fell like a mini blizzard, heavy and continuous for an entire 24 hour period. Just enough for us to take refuge indoors but not enough to shut our hearty city down. No, life doesn't stop here for snow. We keep going. So does the weather. Oy! It snowed again last night. 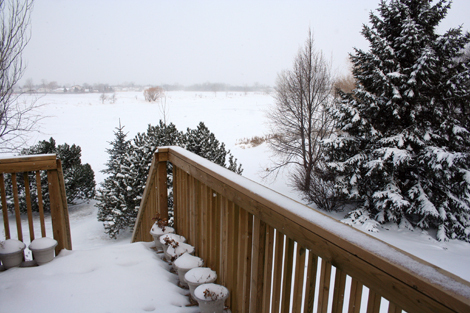 Lots of heavy snow. It started in the later part of the afternoon and kept going strong into the night. Now it looks a lot more like November outside, April fools indeed. 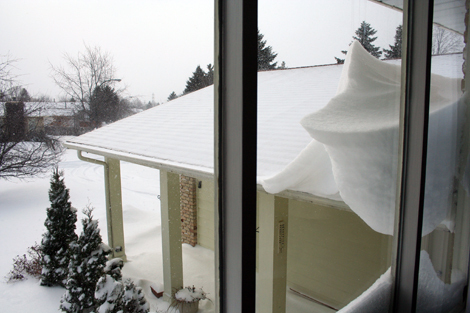 Oh and yes, that is a snow drift that formed outside my living room window. ok, i do understand it's hard to get winter back. but i must say: that snow-piece-of-art you have there, just outside your window, that is just amazing! !